Our design team have over 25 years of experience, designing high quality menus for 1,000's of customers throughout the UK..
We create breath taking and stunning menu designs for all of our customers. As we like to say, 'Your Image Is Our Reputation'. 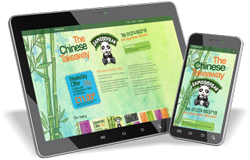 A FREE menu website for every customer that orders over 5,000 printed takeaway menus from one of our menu packages. Our graphic design team have a over 25 years of experience in designing fantastic logos for restaurants and takeaways. 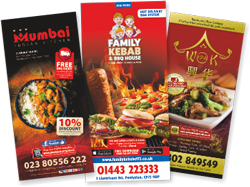 If you require cheap printed takeaway menus and restaurant menus in the Hertfordshire area, Low Cost Menus can provide you with a quality printed menus at a great price. We specialise in printing digital menus for restaurants and takeaways in towns and cities in and around Hertfordshire. As one of the most competitive digital menu printers in the area, we can supply printed menus & menu designs to restaurants and takeaways in Hertford, Watford, St_Albans, Hemel_Hempstead, Stevenage and Hatfield. We can print menus from artwork that has been created by you or another designer, we also offer a high quality in-house graphic design service. Low cost doesn't mean we compromise on the quality of our printing and design services. We ensure that each and every job meets our incredibly high standards. We have an extensive library of food images which we can use on our designs enabling us to offer you the highest quality designs for your printed menus. 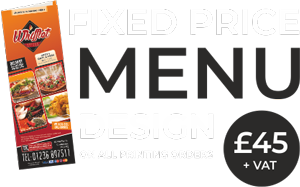 View our complete range of Printed Takeaway Menus & Restaurant Menus here.  We are a London based firm, and due to the distance we recently looked into changing our supplier, and the quality, efficiency and price couldn't be beaten. First class job from a first class outfit! Brilliant service, would highly recommend to anyone, will use you again soon! Excellent customer service. No request is too much for this team. They always put the customer first. I will use them again. Excellent design service from Natalie, and the mailer was delivered on time without error. Great work all round. I'd thoroughly recommend the Low Cost team to anyone wanting fast, friendly and efficient service and the ability to make your mailer worry free!  Excellent service and print quality, will be using your services again and have already recommended you to some of our students who are just starting up in business. Staff always very helpful and knowledgeable. I was absolutely thrilled with my leaflet design, the finished product is exactly what I wanted and the speed and efficiency and professionalism in the way everything was done was second to none! Quality Service as always. Staff always ready to help and advise. thank you very much for the professional service you have give to my company, i intend to use you services throughout . The service provided by Mike and the team was professional and proficient. Very impressed with the service, printing and delivery was very quick. The people who i spoke to on the phone were very polite, courtious, well mannered and people friendly. Quality of print was fantastic. Your our main printing supplier so everything you are doing is great. Excellent service - turn around time was great as I left it really late and you still delivered. Excellent!! Restaurant & table menus, wine lists, cocktail menus, menu covers, placemats, table talkers, folded menus & much more. All of our hand illustrated logos are done in-house making each logo unique to the client.